This Vater Brian Frasier-Moore drumstick design comes from one of the most in demand drummers of today. Brian's stick design is just under a 5A in the grip but with some extra length for added reach. 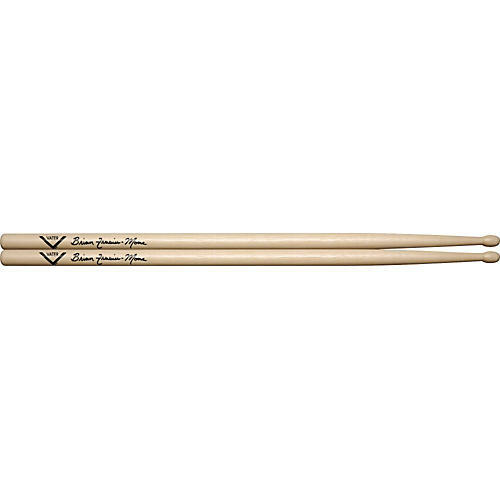 The gradual taper to the medium sized barrel tip makes it a nicely balanced and versatile drumstick.